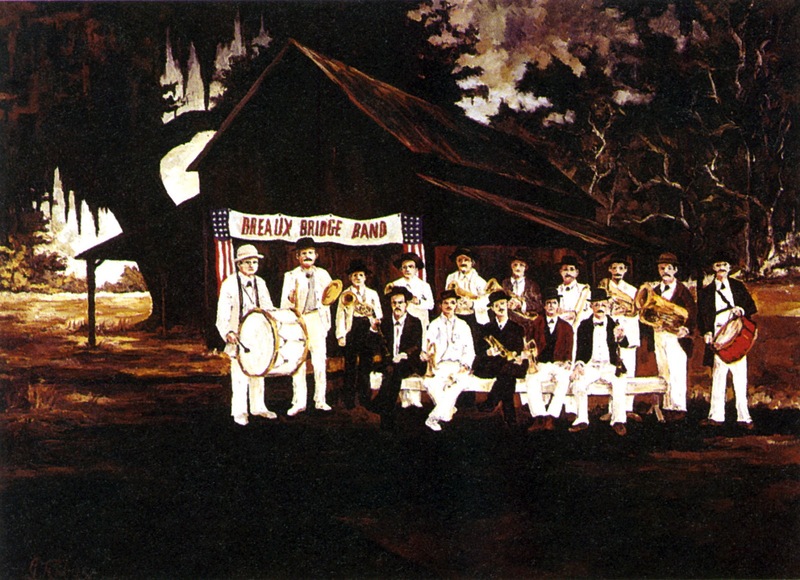 Painted in 1971, The Breaux Bridge Band is a classic among George Rodrigue’s paintings. Along with similar works from this period, it defines his style as a pictorial champion of the Cajun culture, recording snapshots of time within turn-of-the-century Southwest Louisiana. 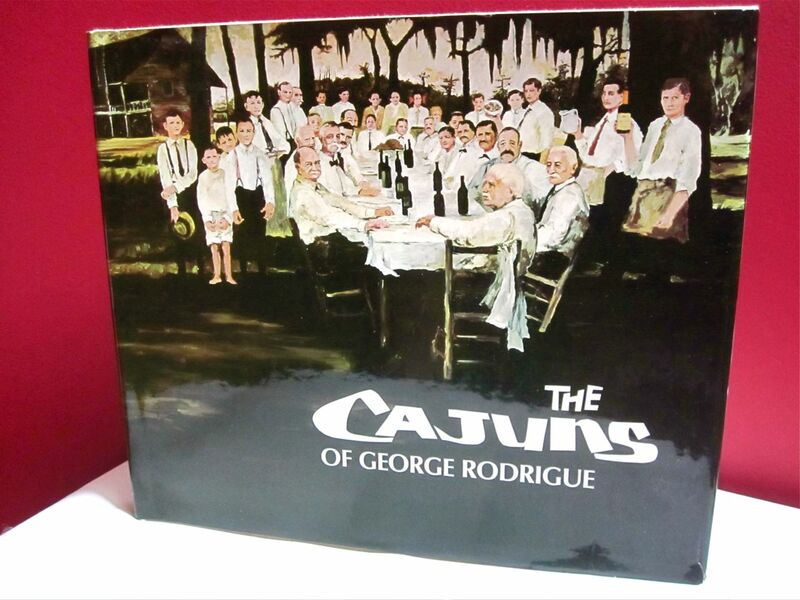 Ironically, however, it is only on the artist’s canvas, and not in reality, that this band connects Acadiana’s heritage to the music that today, along with Cajun food and joie de vivre, characterizes a culture. A Breaux Bridge native whose grandfather was in the band gave George a photograph in 1971, knowing that he researched local traditions for his paintings. 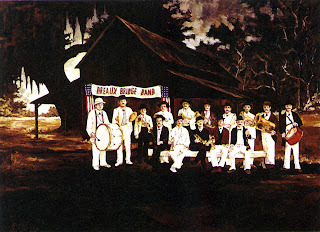 The Breaux Bridge Band belonged to a series of four paintings that included the Aioli Dinner, the Mamou Riding Academy, and Broussard’s Barber Shop, all part of George Rodrigue’s first series of prints made from paintings. Without a gallery or agent, he listed his home telephone number in ads featuring these images for Apollo Magazine out of London, an impressive periodical full of European antiques and art. 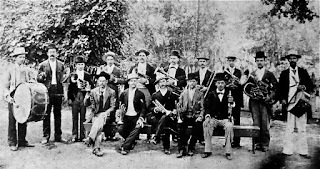 "Looking at them, one can see how proud they were to be musicians. During the week they were all farmers, but on the weekend they felt like they were contributing to, I think, America, doing something no one else was doing. “I started going to Breaux Bridge in high school (1959-1960), because the town was open on Sunday night. You could drink alcohol and dance at the clubs on the Breaux Bridge Highway, the road from Lafayette. The white nightclub was on one side of the road, and the black club on the other. The musicians performed back and forth between them. “The bands alternated between rock-n-roll and swamp pop. I saw Clarence Frogman Henry, Irma Thomas, and Fats Domino. I remember that while singing, Fats played the piano with one hand and signed autographs with the other. “My good friend Kerry Boutte,” continues George, “bought Mulate’s and transformed the bar into a Cajun restaurant and dance hall. He single-handedly brought back Cajun music. George Rodrigue’s paintings and prints hung in Mulate’s almost from the beginning. Today, although the original Breaux Bridge Mulate’s is gone, Kerry Boutte and his family own Mulate’s, the Original Cajun Restaurant in New Orleans, where the music and dancing continue. Here's the scariest part: George says about those days, "If you could drive, you could drink." On behalf of myself and my FWBHS classmates, thank you for the hometown reference! Wonderful. Finally hunted down a not ridiculously priced (of me) copy of The Cajuns with a messed up slip cover. I've spent countless hours pouring over that book. Great to hear from you, Mark. And I'm so glad you found a copy of The Cajuns. It's a special book, to be sure. 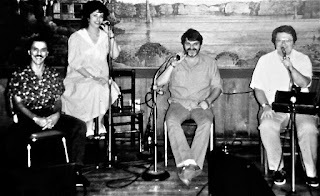 Thank you for reading my blog and for keeping us all in the New Orleans literary scene loop. Hope to see you this fall at the Louisiana Book Festival. What a treat this page is, Wendy. I will share it with my cousin with whom I will be traveling to New Orleans soon - looking for George's gallery. Your reference to Fats Domino brought back a rush of memories for me. Mama (Inez Durand Currier) went to at least one of Fats' concerts (I think in Breaux Bridge) when she and her sister (Lucille Landers) and her boyfriend were newly of drinking age. Even at an advanced age she got a twinkled in her eyes when recalling these good times. 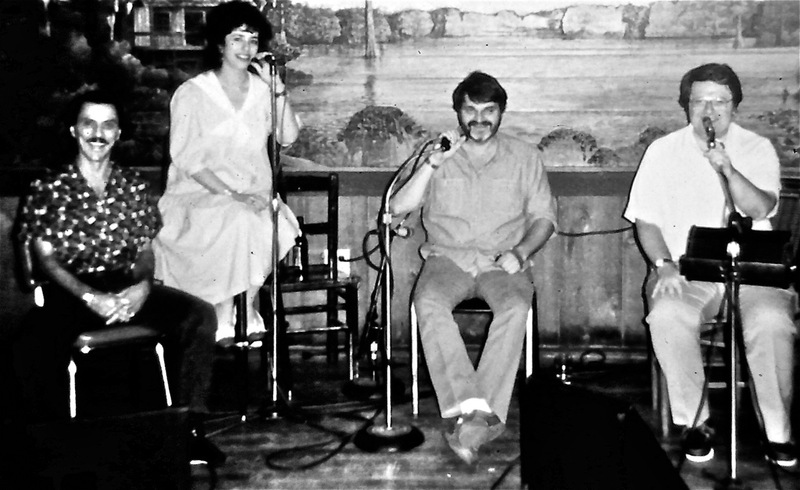 Your blog and George's body of work are authentic histories of major aspects of Cajun culture. It was good to read that you were able to locate some of the original paintings to photograph and share here. What a massive detective project that must have been. Thanks to both of you for your contribution to preserving part of the history of southwest Louisiana. Thank you for your comments, and thank you especially for the charming vignette about your mom. I love walking down memory lane with George. He usually starts describing these old paintings by saying, "Oh, nothing much to tell." But with a little prodding, he's living once again in 'the old days,' exploring tangents, and enjoying the nostalgia.